Applied psychology is the use of scientific and psychological methods and research strategies in Psychology to solve the practical and behavioral problems of human and clear up general animal behavior issues. Students with a graduate or doctorate degree in applied psychology can find work in education, health care, marketing, aviation, and human resources, etc. Psychology is a popular graduate major, and there are many psychology courses available in the field of applied psychology. Different schools in the world allow undergraduate students to specialize in applied psychology. However, many students in the world who have a very strong interest in applied psychology have to work at graduation level. 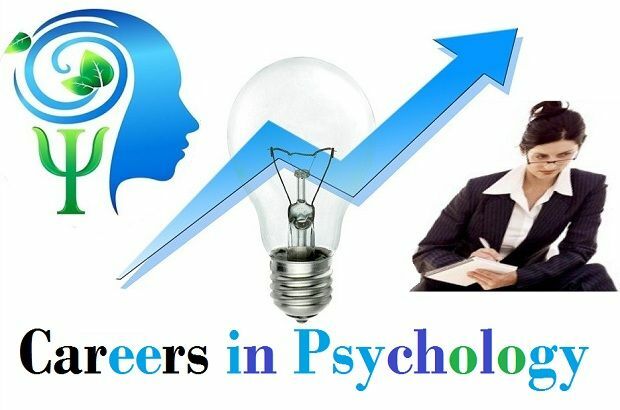 A bachelor's degree in psychology is a typical starting point for someone who focuses on careers in this field. Some universities offer Applied Psychology as a major while others have a customized track so that students can earn a bachelor's degree in this field. In many cases, a master’s degree in pure or applied psychology may be required in order to earn credentials for working in this field. Some degree providers offer a Master’s in Applied Psychology and some areas of specialization may require post-graduate degrees and certified internship as part of the credential requirements. The options for advanced study vary from school to school, but it should be noted that individuals wishing to practice careers in clinical settings are often eligible for a doctorate degree. This type of advanced degree is not only involved in the study but can also include clinical practice, research, and published work. The degree of applied psychology can also be obtained with other psychology expertise, allowing students to further customize their research and coursework for future career success. When you consider getting a degree in Applied Psychology, you should think about your career goals before applying. You need to make sure that your educational career, whatever career options you want to move forward, an applied psychology degree can be a better assistant and a great way to get you there. Applied psychologists may look forward to an interesting career in which various workplace environments can be involved. According to the Bureau of Labor and Statistics, jobs for psychologists are expected to grow faster than the national average in the next 10 years. Educational counselors are very important parts of an educational team to ensure child success. They act as a bridge between the students, their family, the school, or another academic environment. The services offered may include various things such as providing coping skills for a child with learning difficulties, helping the student learn to take notes better in class, and encouraging the child and parents if there are emotional or financial problems related to child development. If you have a graduate, doctorate or other degrees in applied psychology, you can seek jobs in the fields of education as an educational psychologist. Most of your time will be devoted to studying how people learn. You will probably be in an educational place and your main tasks will be to develop educational programs to improve the learning experience of students and evaluate the effectiveness of classroom curriculum and educational interventions. An aviation psychologist performs many important tasks in the aviation industry. On the one hand, they can draw their understanding of human behavior and human development to help the flight attendants, the airline screen potential pilots, and other personnel. On the other hand, they are often experts in providing consulting services to people who have experienced trauma, such as losing a loved one in a plane crash. A career counselor is one who helps you to find out what you want to do for a job or career. He can help you identify your priorities and define your personality so you can see what kind of employment or jobs you are most suitable for. Then he may help reduce your choice and find out which job will be most suitable for you, whether you're getting started or you want to make changes in your careers. A social worker can be a psychologist or a mental health professional who uses a biologically based approach to helping people improve their lifestyles by addressing concerns about public health, mental health, relationships, finance, housing, and substance abuse. Social workers act as defenders, teachers, and advisors to their clients, providing links to community resources when necessary. They also, work in hospitals or in mental health clinics, schools, the community for addiction services, non-profit or government institutions, or in private practice. A substance abuse counselor is a compassionate person who has been trained to diagnose and evaluate people in the field of addiction. He helps clients in crisis or in their continued recovery from their addicted behavior. In counseling, he helps them to identify the reasons why they choose the behavior of addiction and what they can do to stop it and choose a healthy lifestyle. Clinical psychology is the most popular career option in mental health that you can engage in. In this field, your main task is to provide services for individuals, groups, couples, children or families in psychological distress. You can treat people with psychiatric disorders such as stress, depression, anxiety disorders, phobias, and/or schizophrenia. Developmental psychologists specialize in the study of human growth and development from birth to death. In many cases, they work with a certain group of people, such as adolescents or older people, using their understanding of growth and development as a means of diagnosing, assessing, and treating mental, behavioral and emotional disorders. They also work exclusively in the field of research and seek to answer questions about how and why we develop the way we work. If you decide to pursue a career in health psychology with your degree and want to work in this field, you will use your experience to analyze the relationship between genetics, the environment, and personal choices to gain a better understanding of how these factors affect health and well-being. You will work primarily with a team of psychologists and clinicians in a clinical environment, although you may also be required to supervise health research studies and/or teach health-related training modules and college courses. Your main goals and objectives will be to help people improve their quality of life by training and teaching them how to make better lifestyle choices. Child protection experts are trained professionals whose primary work is to check the report of child abuse or child neglect. They work with families and agencies such as child protection services to develop long-term plans for reducing neglect and abuse rates. This involves linking the abused child's family with appropriate counseling or identifying the intervention that mitigates the risk of future neglect or abuse. The area of ​​human factor psychology is located at the intersection of psychology and engineering. In that respect, this field of psychology relates to the interaction between people and technology, people and their environment, and people and the tasks they have to do as part of daily life functioning. For example, a human factors psychologist can work with engineers who are designing a new type of computer keyboard and provide insights about how to design the keyboard that can maximize a person’s ability to use it in an intuitive way. If you want to become a forensic psychologist, you will have to take a professional degree in applied psychology. With this degree, you will mainly work within the criminal justice system. Your main task will be to determine if a criminal is legally responsible for his actions during a crime or not. You also have to handle any legal and competency issues arising during the course of a trial. You can also use your graduate or doctorate degree in applied psychology to enter the business world. With this degree, you are eligible to work in a company as an industrial-organizational psychologist. Your main task will be to analyze employee attitudes, behaviors, morale and satisfaction and improve employee performance and increase company revenue. An employer can appoint you as a sports psychologist if you have a doctorate degree in sports psychology. Your main task will be to check the factors that are affecting the performance of an athlete and examine the athlete's mental and psychological processes and address any issues that hinder him from performing his best. You will also be responsible for the treatment of athletes with emotional distress and/or psychological disorders. Your main goal will be to strengthen the will of the athlete so strong that he focuses on winning; Not on personal issues. (1) Theoretical Psychology - How Many Theoretical Branches are in Psychology?